A lot of DC-operated devices are used in today's busy digital age – entertainment electronics, industrial IT, communication technology, electric vehicles and much more. At the other end of the energy supply chain, technologies quickly evolving to mimic the AC primary power chain with one that directly generates direct current, such as photovoltaics, fuel cells and wind farms. The use of direct current is therefore on the rise again: More and more electricity is supplied along the supply chain at least once in DC form in the areas of energy generation, transmission, storage and use. Although conversions are necessary for stepping down voltage at times for technical reasons, in some cases these AC voltages and frequencies are probably still used because of predetermined infrastructure built upon years of standardization of AC power. However, these conversions always cause losses in power and thus energy waste, as well as generating unnecessary heat which can be avoided. longer required. In addition to this, a synchronization is no longer required for coupling the various sources and networks. Even rectifiers and inverters are not required as the batteries are connected directly to the DC supply. The DC power architecture contains significantly fewer components than that of alternating current. By eliminating various transformations and conversions there is already an increase in efficiency of 10 % from the supply to the server. In terms of investment costs for the electrical infrastructure, one should work off the basis of a reduction of around 15 %. Less space is also required for the electrical infrastructure. In fact, considerably less. 25 % should be expected. Fewer components are installed quicker. Fewer components are serviced faster and cause fewer errors. This makes them more reliable and therefore cheaper. Some data centers around the world already use DC technology. In China, Japan, the USA, Germany and also in Switzerland. However to date, there have been no binding standards to adhere to. 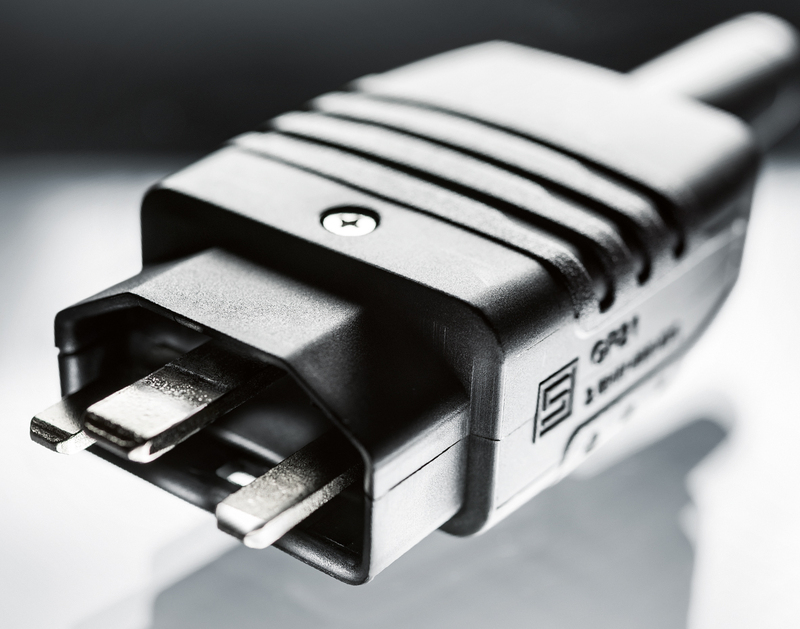 The IEC (International Electrotechnical Commission) has set out to create the missing link with standardized plug and socket devices according to TS 62735. Efforts are currently being made to create solutions for DC plug connections on the previous AC standard IEC 60320. So far there are different approaches for DC connectors, but they have not been able to prevail due to the pending standards. That is why various providers are working together in the IEC standardization body in order to replace the proprietary approaches with an internationally recognized standard. The conversion of the voltage supply must however be gradual. It is only in this way that all the devices will not need to be switched from an AC to a DC supply at once. Solutions are being sought that can feed the device with both an AC and a DC supply. The power supply units of the devices can process both supply voltages. However, it must also be ensured that all the safety-relevant precautions are taken. Where there is light, there is also shadow. This also applies to the 400 VDC data center. The availability of DC components is still in its infancy. It needs a new approach. The use of a DC supply requires integral planning from the grid to the chip. And everything in between! Because there are still losses here - e.g. heat loss. This means: There needs to be cooling systems with a DC supply. Also needed are air conditioning systems, fire protection systems, access control systems as well as building control systems and much more. All of these components should be equipped to operate with direct current. The supply of a data center using direct current has enormous potential. Not only does it offer the potential for saving energy, but also, to the same degree, savings on costs, space, resources and time. Furthermore, the supply of renewable energy sources offers the possibility of providing electricity directly for the data center as a direct current, without additional transformation or conversion processes. The quality of the DC-level power is better. This will result in the use of fewer components and, ultimately, greater reliability. Availability is the keyword in the digital age. Everywhere, at any time.